Looking for a delicious homemade canapé recipe or simply for a savoury snack? These bread shots (original recipe taken from a book by Richard Bertinet called “Dough“) are just what you are looking for! 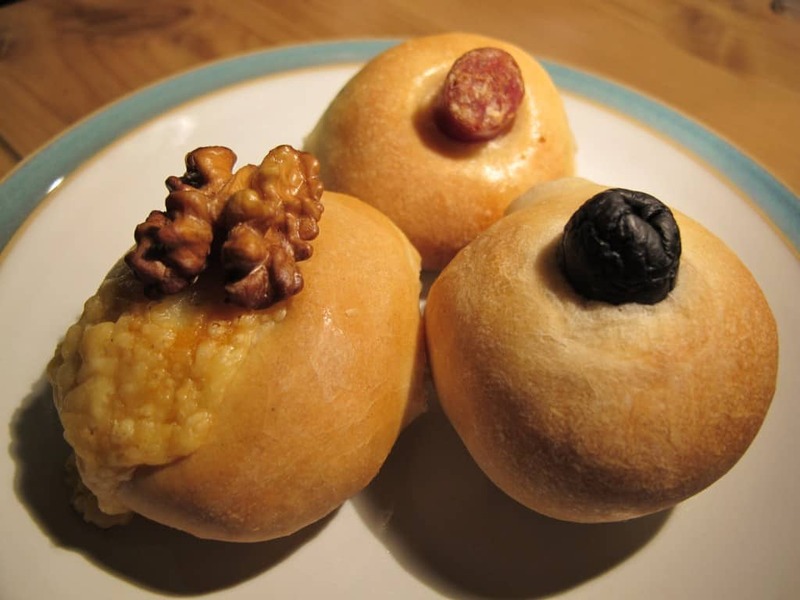 Bertinet’s bread shots are made of basic white yeast dough – little dough balls (smaller is better as it allows for a good topping-to-bread ratio), filled with the topping of your choice. Put the flour, yeast and salt into large bowl and whisk together with a balloon whisk. Add the water and mix together to form a rough dough with a wooden spoon. On a clean work surface, knead for about 10 minutes until your dough is smooth and elastic. Place the dough in a lightly floured bowl, cover with a clean kitchen towel and leave to rest in a warm place for about one hour or until the dough has doubled in size. Take the dough back out of the bowl and onto a very lightly floured surface. Flatten the dough until it’s about 3 cm thick, then divide into 6 strips. Divide each strip into a further 6 parts. These 6 parts will initially resemble little squares and will now need to be shaped into tight, smooth balls (as per Bertinet this is best done by folding each edge in turn into the centre of the dough and pressing down with your thumbs, rotating as you work, before giving the dough ball a final roll in the palm of your hand, smoothing the edges underneath). Place the 36 bread shots on two sheets of baking paper and leave to rest for 15 minutes. 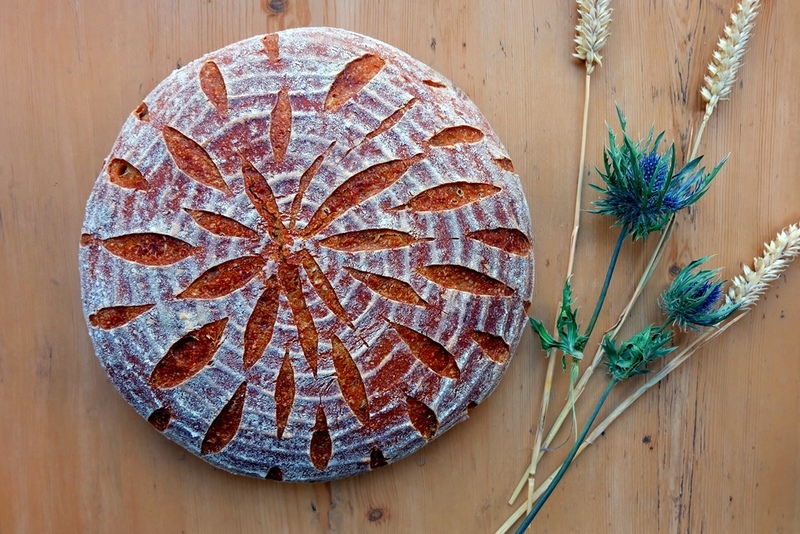 Use the handle of a wooden spoon to make a well in the centre of one bread ball at a time before putting one of the chosen toppings into the mold. Try to make the well quite deep as the dough will still rise and move the filling up- and outwards. When placing the bread balls on the baking paper, make sure you leave enough space between each bread shot to allow for further growth – you need to avoid them sticking together. Cover the filled dough balls with a kitchen towel and leave to rest for a further 45 minutes. Preheat the oven for half an hour. Bake for 10 minutes or so at 220°C. It took a little longer in my oven – so just bake until golden brown. One final tip – the bread shots with cheese topping always come out best, so use cheese on its own or alongside another topping whenever you can!